The sheer need of animals is always the reason why we intervene to do everything in our power to stop their suffering. Every day, we receive calls for help asking us to accept more animals in need. And that’s what we do – wherever we can. Gut Aiderbichl’s promise is that these animals can stay here to the end of their natural lives – especially larger animals such as horses, cattle, donkeys, goats, but also hens and rabbits. 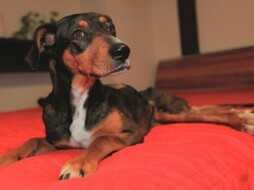 But in our experience, every animal rescue involves a certain risk. And our pledge that they can stay with us means we constantly have to expand our stables, gain new employees and not to mention the rising costs of keeping everyone. We also want to guarantee that all our animals, especially those who stay on our estates until the end of their natural lives, have everything they need. How can I become a member of Gut Aiderbichl? It’s that easy to join us as a Friend of Gut Aiderbichl! Starting with € 10 monthly you can become part of our network. And that means you really help us to achieve our goals of being able to help even more animals over the long term. 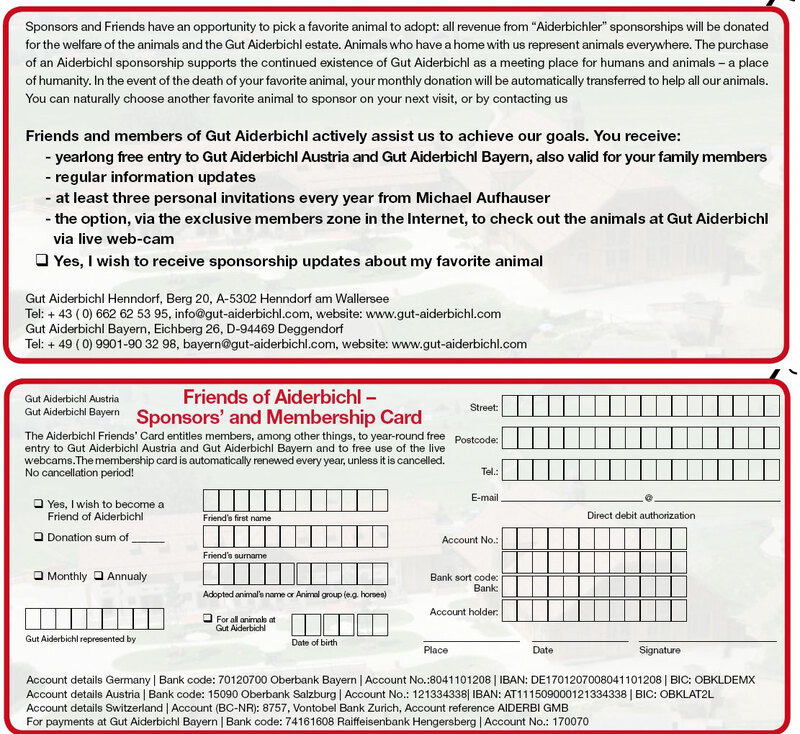 As a Member/Sponsor, you’ll receive an annual membership ticket entitling you and your friends/family to free entry to Gut Aiderbichl in Henndorf near Salzburg and Gut Aiderbichl Bayern, as well as an animal sponsorship certificate with a great picture of your symbolic adopted animal. Additionally, four times a year you’ll receive the Gut Aiderbichl Magazine "Love Life". But that’s not all – you’ll receive personal invitations from Michael Aufhauser to sponsors’ meetings. And we have about 20 live cameras on our main estates that we reserve for our members. And much more! We would be delighted to welcome you soon as a member of our great Aiderbichl family!